Errors in the calculations of the monthly charges for electricity can lead to serious trouble, up to penalties from the service provider. Therefore it is better to pay in time and in the right size. Read electricity meter installed in your home or apartment. 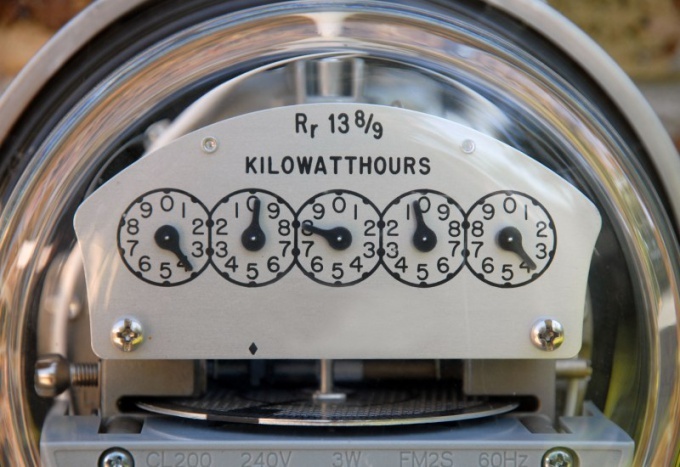 Six digits on the dial of the meter you will be interested in the first five, the last, the sixth digit (after the decimal point) will need to round the number to an integer number of kilowatts. Do not hold information in the mind, believing that well-remembered the number, and immediately write it down - the issue of cash payments better to be safe than sorry. Take receipt of payment, you have received the supplier of electricity, you find the column "final rate". It's the need to enter the data, only that you've taken off the counter. In the column "initial figure" you have to make depositions taken you a month ago, at the time of previous payment. Make it simple - the required number must be in the same receipts under the heading "last testimony of metering devices". Subtract from the value of the "end indicator" (just taken your meter readings) value of the "primary indicator" (counter reading for the last month), and will receive consumption - the amount of kilowatts consumed by you during the month, the cost of which you have to pay. Record this value in the appropriate column of the receipt. Multiply the flow rate (the number of kilowatts consumed per month) tariff rate (price per kilowatt), the amount of which shall be specified in the receipt. The resulting amount will be the amount of the monthly payment for electricity, which you will have to make. Enter in the receipt is the last required to fill and submit it to the payment of utilities. Taking readings from an energy meter be careful as an electric shield, which can be directly connected to the meter, is under high voltage.